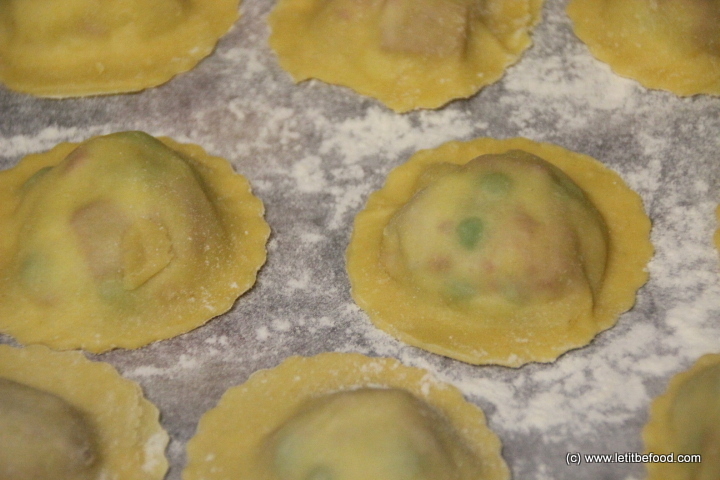 This recipe is suitable for any basic pasta e.g. 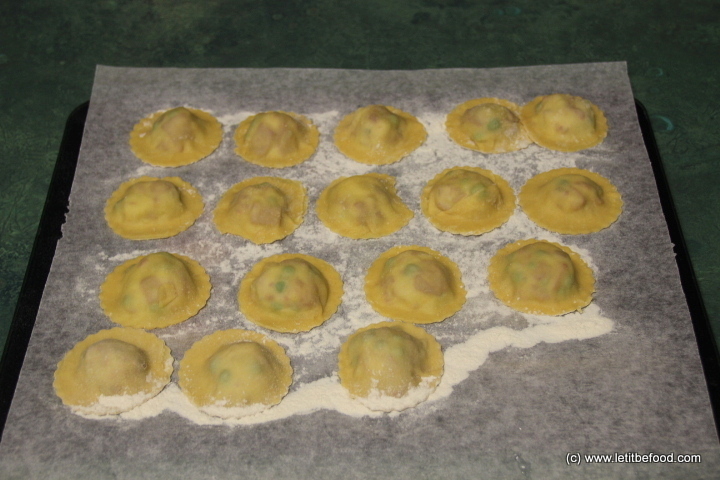 ravioli, fettuccini, tagliatelle, and is simple to make. It may sound strange to use an odd measure like 2/3 of a cup of flour and to be honest, it depends on the size of the egg and anyway it’s an art not a science. Heuristically, and not without my fair share of failures along the way, I have learned that 2/3 of a cup of flour with a single medium-sized egg will make good consistency pasta. 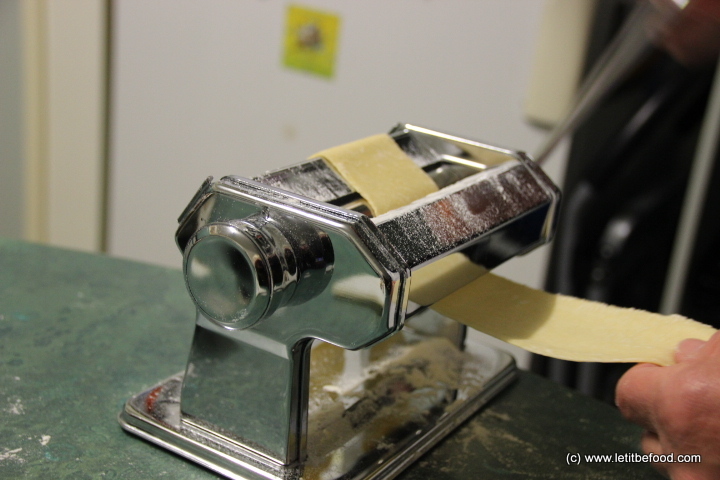 If the pasta is too wet it will stick to your pasta machine and prove difficult to work with, causing much hissing and snarling. 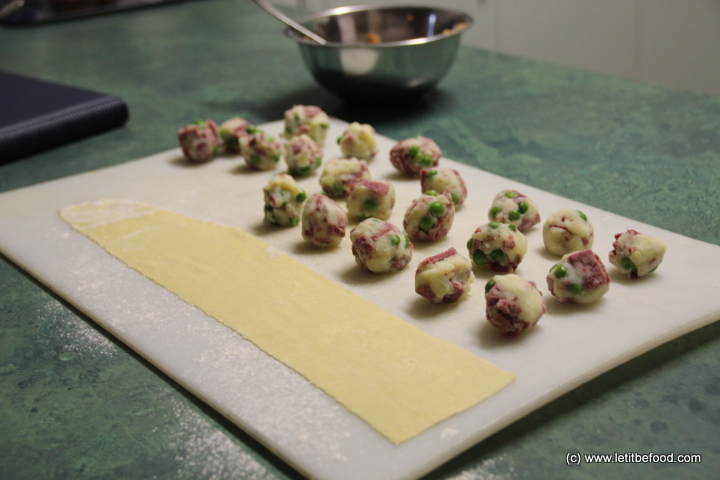 If the pasta is too dry it will flake and not form into a ball, resulting in a high degree of blasphemy. If you use the recommended measure for each 2 serves, rest assured it will be good. If however, it does appear a little too dry splash a very tiny amount of water on it and carry on. 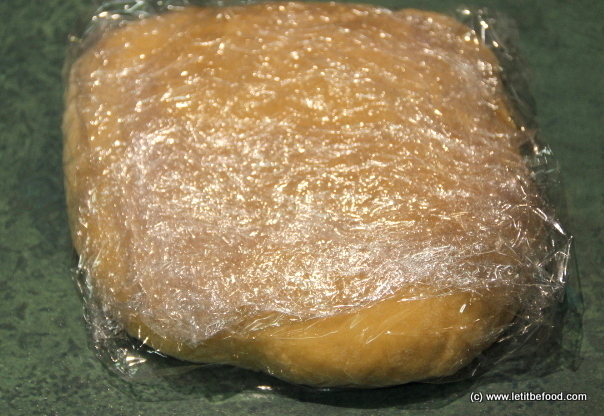 If it appears to be a little too wet, had a shake of extra flour. 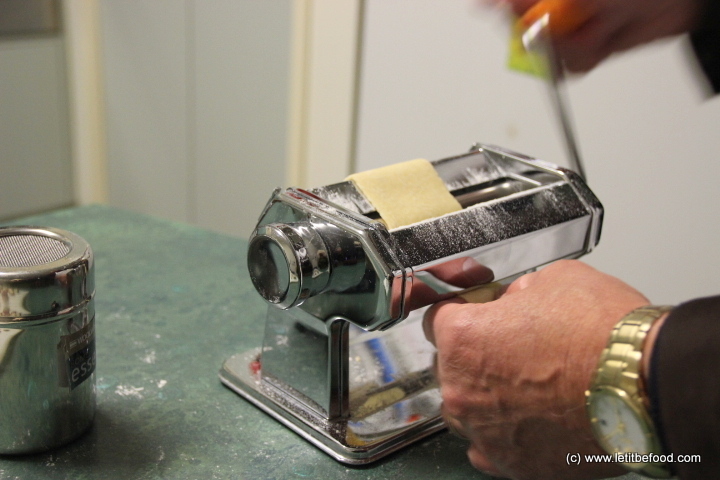 If you can get hold of a small shaker such as the type used to sprinkle powdered chocolate onto a cappuccino you will find it an invaluable aide to flour your board and pasta machine regularly.